Roadway and toll signs are going to be changing soon and drivers are urged to be on the lookout! According to the Massachusetts Department of Transportation (MassDOT), signage at the toll plazas on the Tobin Bridge, the Turnpike and the Airport Tunnels will soon be overhauled to meet federal guidelines and help to improve roadway safety. Proper signage can help to alleviate roadway confusion, can help to keep traffic flowing smoothly and can help to reduce the risks of car accidents in Boston and elsewhere in the area. 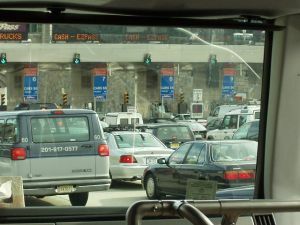 Now, drivers will see the ‘Fast Lane” signs disappear and the “E-ZPass” signs appear. ‘Cash Only’ signs will also be updated along our roadways. “Driver hesitation and confusion can jeopardize safety at our toll plazas,” said Richard A. Davey MassDOT CEO and Secretary. Our Boston car accident attorneys understand that MassDOT has an obligation to make sure that the more than 1.5 million transponder holders and the general public knows that that the ‘Fast Lane’ and the ‘E-ZPass’ lane are now the same. Changes in road traffic are to be simply conveyed along these roadways. Transportation officials also have the obligation to make sure that these roadways are safe for all drivers and minimize all hazards. Roadway signs are one of the most effective ways to alleviate these hazards and confusion. The proper signage should be displayed to make sure that motorists can travel where they need to safety. Currently, there are more than 20 million E-ZPass holders throughout the U.S. The signs for this program are most often displayed in purple and white, to make them uniform to all users. These signs can be found in more than 12 states, including New York, New Hampshire and Maine. Now, ‘Fast Lane’ customers will still be driving through our electronic lanes just like they were before, only now there will be the new signs displayed over them. Customers don’t need to do anything differently as their transponders will still work and other personal information tied to the transponder will remain the same. Just drive on and be sure to be cautious in these areas. This is a project that cost more than $1 million, but was funded mostly through a federal safety grant. Nearly $200,000 came from the Western Turnpike Capital fund. The project is expected to continue on through the summer months. Motorists are urged to be on the lookout on these roadways in the meantime. Workers will be on our roadways during off-peak commuting hours, from 9:00 a.m. through 5:00 p.m. These scheduled work hours were designed to help to keep rush hours flowing smoothly. First, motorists will see the ‘COMING SOON: We are Changing Our Name’ signs located along our Turnpike. First, Route 122, or the Interchange 11, will see the sign change. Then, the project will move along Interchanges 1, 2 and 3 until it finally comes to an end at Tobin Bridge. If you, a friend or someone in your family has been involved in a car accident in the Taunton, Quincy, Boston or elsewhere throughout the state of Massachusetts, contact Boston Injury Attorney Jeffrey S. Glassman. Our law firm offers free and confidential appointments to victims and victims’ families. Call 877-617-5333 to schedule your appointment.